A Proposal to Improve the Amenity and Educational Value of the Woodland opposite the Recreation Ground in Bishopston. 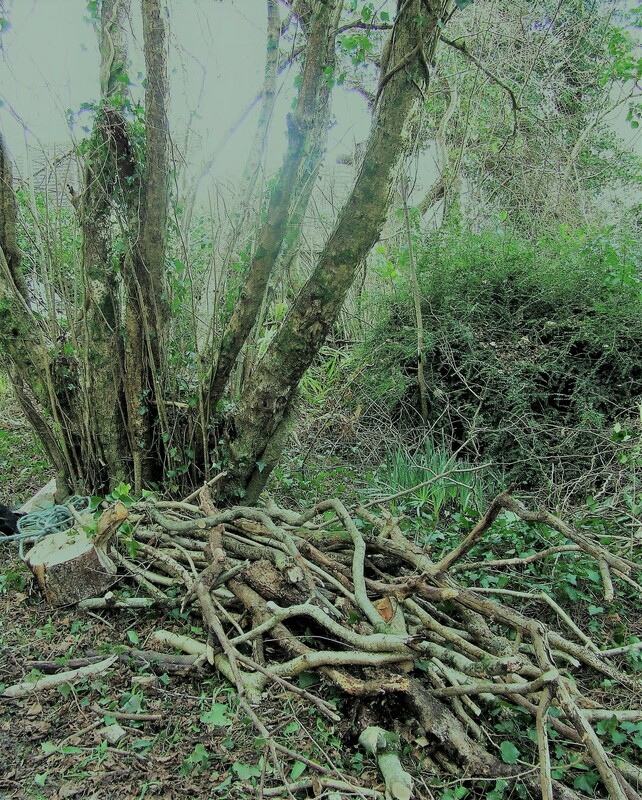 Climate and Community would like to propose a project in conjunction with Bishopston Community Council with the object of improving and developing the wood for community benefit and as an example of what can done for the future. In addition to enhancing the landscape the project should create community based networks and organisations to undertake and maintain the improvements. Developing the people involved is just as important as managing the woodland. We should all be concerned with the environmental challenges facing us and the prospect of much worse to come. From the visible litter on our streets, anoxic seas off our coasts to the global destabilised climate; we should do what we can now to bring about changes in behaviour. So that we pass on to our children, an environment that is at least as healthy and vibrant as we had experienced in our youth. In accord with National Assembly legislation the Swansea regional Public Service Board (PSB) consulted the people on what issues mattered to them in sustaining wellbeing. One of the four resulting challenges is ‘Working with Nature’. This calls for: improving health, improving our knowledge and understanding of the natural environment, maintaining and enhancing biodiversity and reducing our carbon footprint. This project will help Swansea and the Gower meet these challenges. The question as always is: how do we go from aspiration to realisation on the ground? The scrub woodland on the East side of Murton Green Road is a promising site because it is very visible to the public, accessible to the whole community and publically owned. We propose to use the wood as the initial location for the foundation of a rural skills school to develop and teach appropriate land based skills and ways to socially and economically organise. We think that Ysgol Amgylchedd sums up the aims very well. We would begin with coppice and standard small woodland management and conversion. As well as planting a small willow bed as part of a field based basketry school (a willow craft community). Both of these initiatives can be focused in the wood. As we have demonstrated this winter, the manifestation of the school undertaking works in the wood will be fully portable and low impact. An objective will be to develop locally skilled people who can maintain and develop the wood as an exemplary teaching resource. The network of paths and tracks in the wood can also be maintained and improved for public access and dog walking etc. We believe that such a project can be initiated and resourced with very modest funds which can be obtained from a variety of sources including project grant funds, donations and self funding economic activities. In order to facilitate this we would need to undertake an initial survey of the woodland which is best done in April and May. This will then give us time to produce an agreed outline of activities on the ground in the wood. Climate and Community can organise and undertake this in conjunction with Jenna Higgins who is a recognised expert in survey and the associated practice of arboriculture. We are asking if the Recreation Committee can agree to fund this initial survey. If members of the community are interested in supporting this project please contact us or talk to a community councillor.